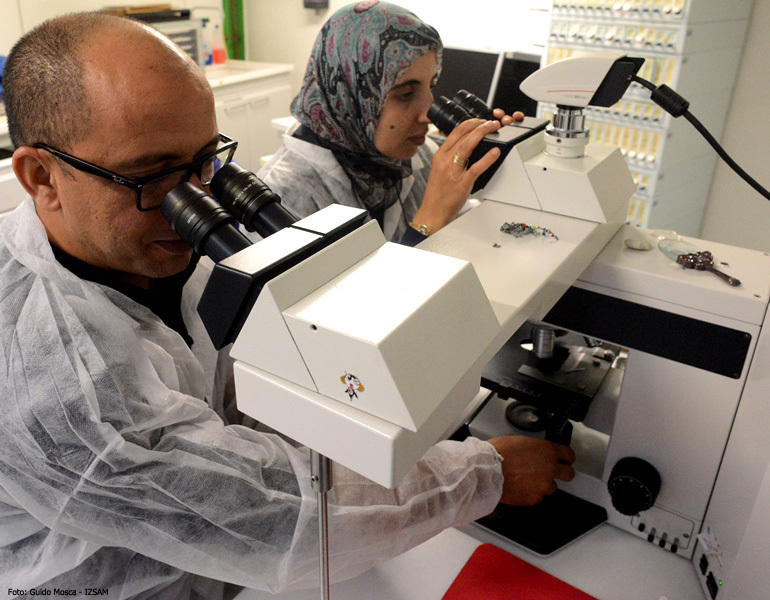 From Monday the 13th of October 2014, four Biopharma (Société de Productions Biologiques et Pharmaceutiques Vétérinaires) researchers from Rabat, Morocco, attended the laboratories of the Istituto Zooprofilattico dell’Abruzzo e del Molise “G. 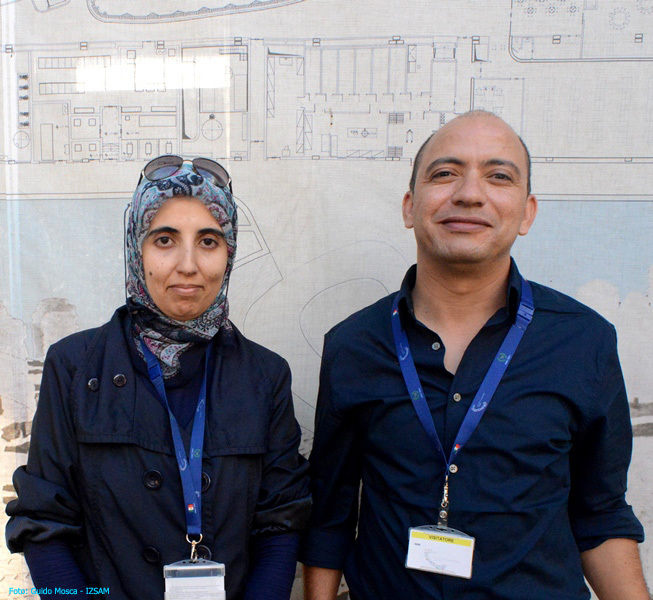 Caporale” (IZSAM) for a period of training lasting two weeks within an OIE Twinning project. 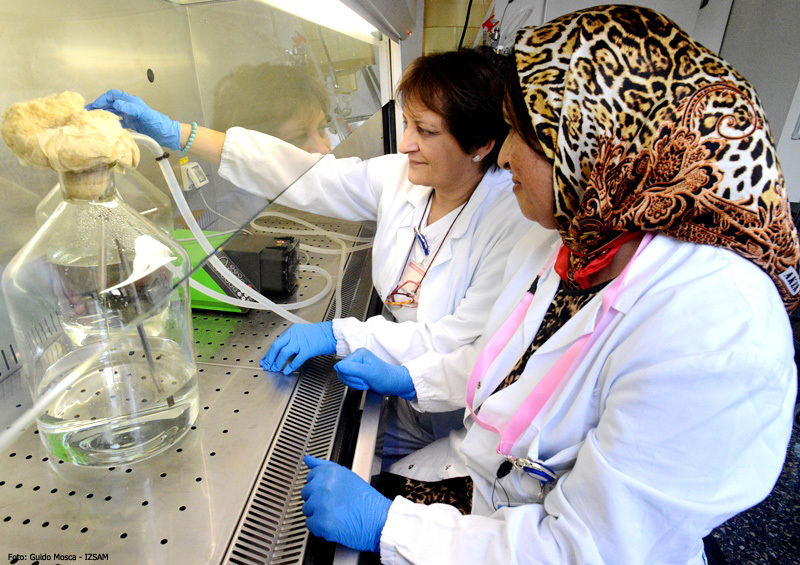 Ghizlane Sebbar and Mustapha Hammouchi dealt with the virus sequencing techniques. 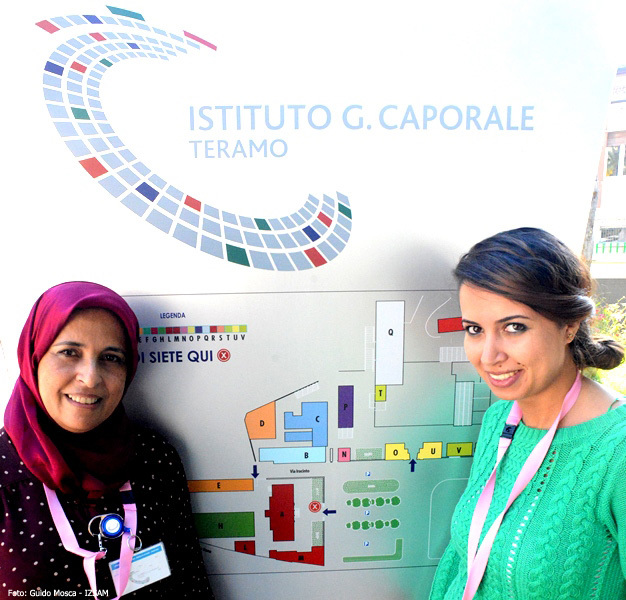 The period of training consisted of two weeks at the Research and Biotechnology Development Department, where they followed, together with Maurilia Marcacci and Luigina Di Gialleonardo, the Whole Genome Sequencing activity of virus isolates by means of Next Generation Sequencing. 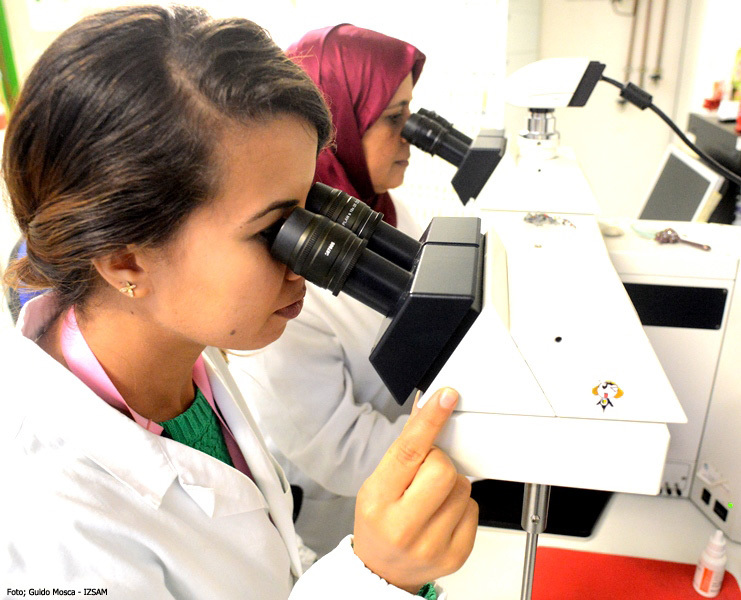 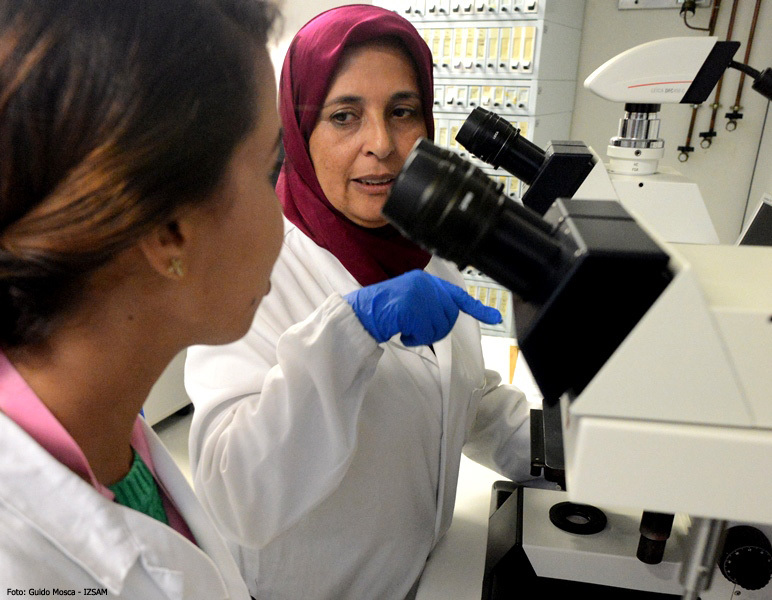 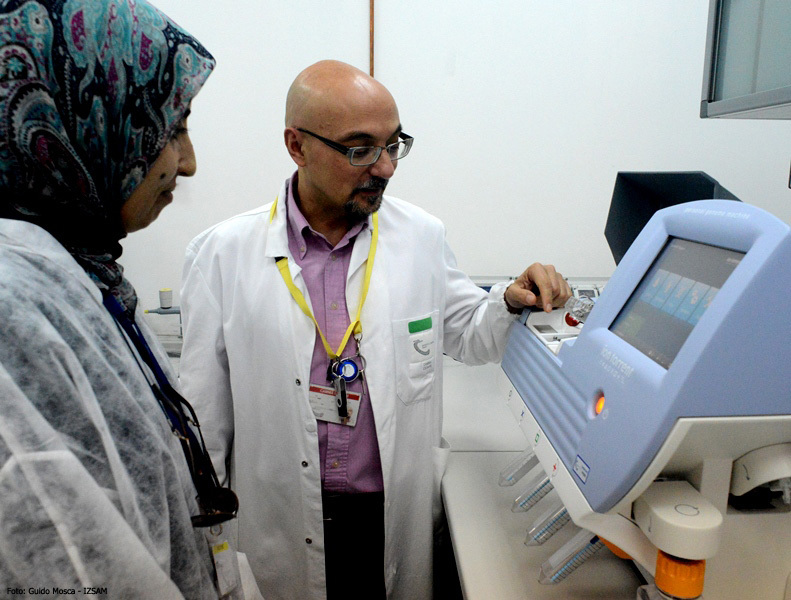 Loutfi Chafiqa and Safaa El Azhari turned their attention to the purification and concentration of viral antigens through the tangential filtration and laboratory tests on the USUTU virus. 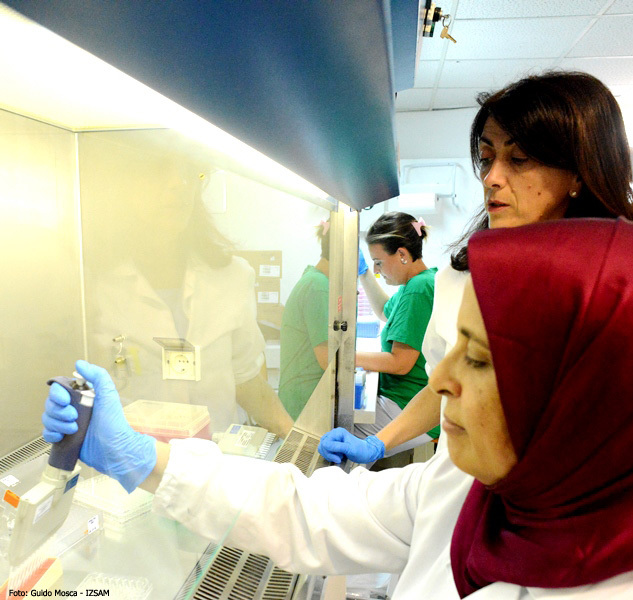 Both the researchers spent a week of training at the Viral Vaccines, Serums and Diagnostics Department guided by Gaetano Federico Ronchi. 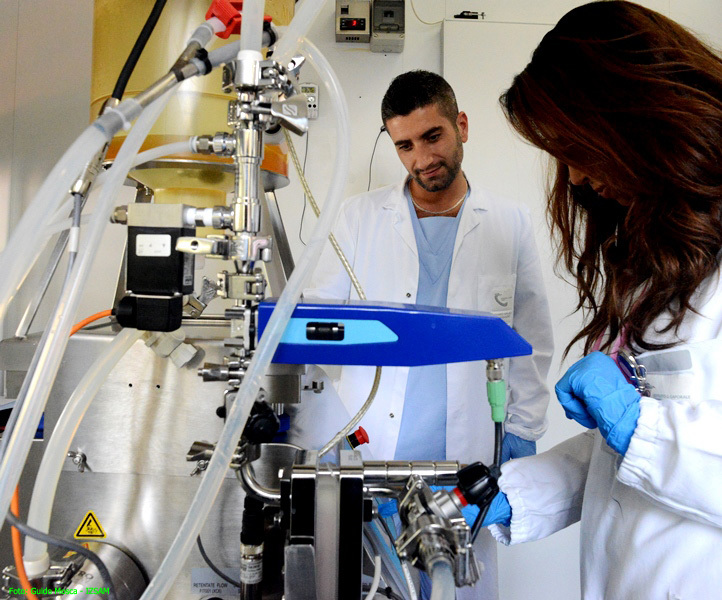 During the second week, they attended the Virology Department under the supervision of Ottavio Portanti concerning the implementation of Real Time – PCR, relevant for the research and the Bluetongue virus typing. 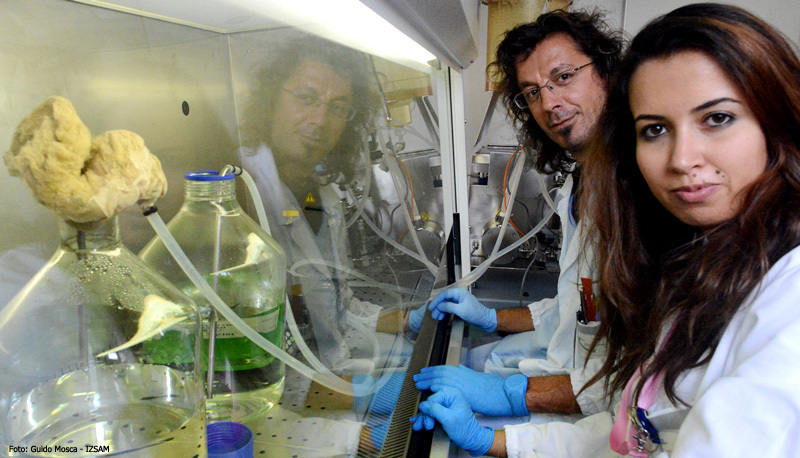 Also, they were assisted by Annapia Di Gennaro in the execution of serum neutralization for the research of specific antibodies related to the West Nile Disease virus and USUTU.